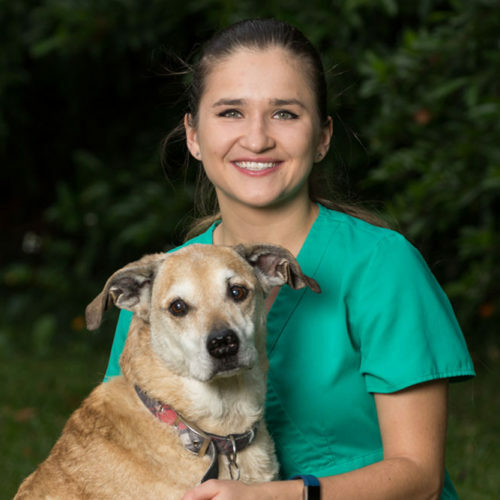 Jessmarie Morales, better known as Jess, is one of our excellent Veterinary Technicians. She moved to Florida in 2000 from San German, Puerto Rico. She has two younger brothers whom she is extremely close with. Together they share a special family bond, a love for animals, and a deep-rooted love for their hometown. 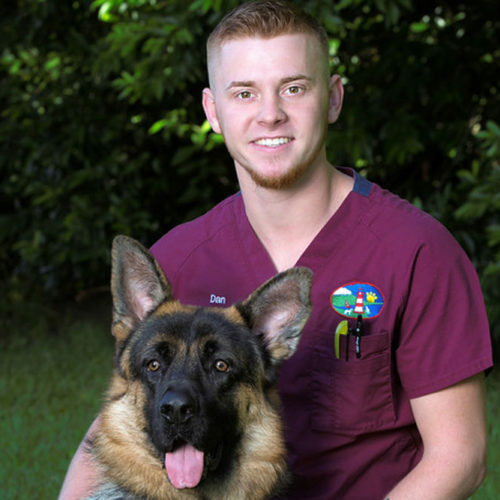 Working in the veterinary field for the past three years, Jess is a hands-on, challenge accepted kind of team member who is extremely gentle with animals and clients. This may come from the responsibility of her wide range of pets including 4 cats, 2 dogs – Rambo and Kibo and 3 chickens – Maria, Juanita, and Teresa. Jess loves seeing animals go back to their owners happy and healthy, and is always on board to help in any way she can. There is no task too big or too small for Jess.